Problems with HMRC....cash flow problems.....bookkeepping errors ? Why not let us be your virtual finance department? QUESTIONS ABOUT A FINANCIAL OR TAX ISSUE? We’re here to help answer your questions. Financial & Tax issues can be complicated, and confidential, our experts are on hand to help you with the utmost confidentiality . Let us Call You and take a weight off your mind or simply send us your question in the form. WHO ARE Flint & Thompson ? 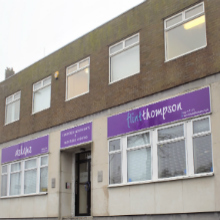 Flint & Thompson is a firm of Professional Accountants and Business Advisors and offers everything a business needs in terms of accountancy and through our membership of the Askews Group we can also offer legal and insurance services. What we offer is tailored for businesses in the Birmingham and the surrounding area. You will work with proactive accountants, solicitors, insurance brokers and business advisers who will help you achieve your goals. We are more than happy to assist businesses in the Birmingham area. We make it easy for you to use us. Simply fill in the contact form or give us a call or we will call you. At Flint & Thompson we believe that your success is our success. “I have known Mark at Flint & Thompson for many years and he has dealt with my affairs in a professional and friendly manner. He always makes himself available to deal with any concerns I have and explains things in a clear and concise manner. The Askews Group includes accountancy practices, solicitors and insurance services serving customers in the West Midlands area. With over 25 years of experience Flint & Thompson has the knowledge to help all our clients, whatever the size, whatever the issue. Flint & Thompson listens to their clients to ensure we give the right advice. We never forget “Your success is our success”. We understand the area, we know what businesses face. We work for local businesses and always give them “The extra mile”. WONDERING HOW EASY IT IS TO CHANGE YOUR ACCOUTANT? Your local accounting, auditing, and finance professional. We work with our clients, not simply for them. Our Clients’ success is our success. You found out you are paying too much or not getting the service you need. So let us know. We will contact your current accountant (so you don’t have any embarrassing goodbyes!) and explain that you are moving your business to Flint & Thompson. You can now relax and focus on running your business. After drafting a letter from you. We will arrange for your books or records with copies of your accounts and tax computations which they currently hold to be transferred to us. Flint & Thompson makes it simple and quick. We will advise HMRC and any other government offices that we’re looking after your affairs. We review your accounts and start working on your behalf. Changing accountants to Flint & Thompson really is that easy. Make an enquiry and see how quickly they respond. If they don’t respond quickly before you are a client, what will they be like when they act for you? A good accountant takes a real interest in you and your business and provides advice that adds value to grow your profits and wealth. You need an accountant who knows the latest tax rules and will pro-actively come up with regular new ideas to minimise the tax you pay. It’s not just about maintaining the books. A good accountant should offer other services, e.g. Payroll, Legal & Financial Advice, risk cover etc.